1959 Chevy Biscayne 2 Door Sedan by R&R Resin. 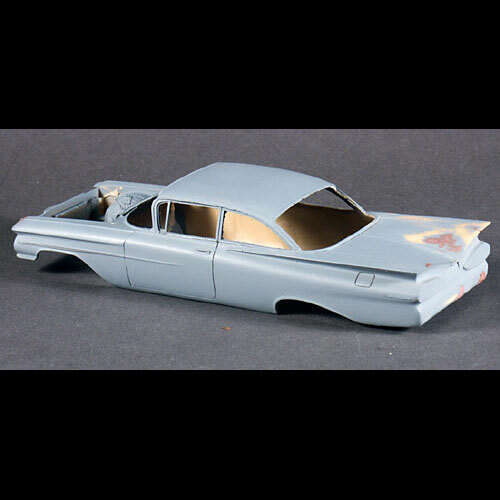 This scale Chevy Biscayne resin kit has already been nicely prepped and primered, with emblems and details still perfectly crisp. It includes the body, interior with seats, dash, glass and taillights. Its my guess that the AMT 1959 El Ca-mino is the kit intended to supply the rest of the parts.